After spending years associated with the United States military, Djaras settled back home in Sylvania, Georgia, and began her training in Cosmetology at Ogeechee Technical College in 1995. After becoming licensed and working in the salon, she returned to Ogeechee Tech and continued her education as an Instructor Trainee. In 1998, Djaras became licensed as a Cosmetology Instructor with the Georgia State Board of Cosmetology. She readily has attended beauty culture seminars locally and afar. A native of Eufaula, Oklahoma, Jeff began his journey into Cosmetology in 1990. He started classes at Virgil’s Beauty College in July of that year. Jeff went straight from Beauty College to working in his own salon. Through the years, he worked as an AIT with John Paul Mitchell Systems and was among the top 17% of cosmetologists in the United States. In 1998, he moved to Statesboro, Georgia, and opened Shaver‘Salon. 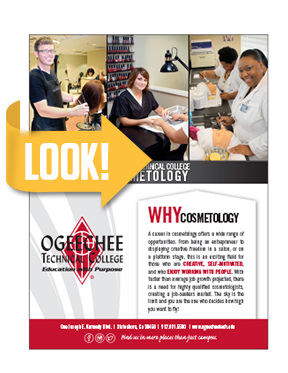 After 17 years in the profession of cosmetology, Jeff expanded his horizons by joining the cosmetology faculty at Ogeechee Technical College. He still continues to work at his salon in downtown Statesboro when not in class at Ogeechee Tech. Jeff has been a Cosmetology Instructor at Ogeechee Technical College since October 2006. 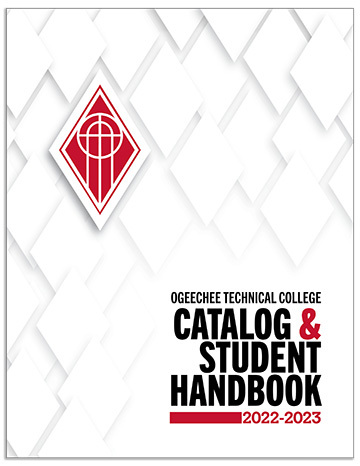 The Cosmetology program at Ogeechee Technical College is approved by the Georgia State Board of Cosmetology, 237 Coliseum Dr., Macon, GA 31217, Ph. 478.207.2440. Upon successful completion of the cosmetology program, a licensure examination is required to work in the state of Georgia. Information on the licensure exam can be found on the Georgia Secretary of State website (http://sos.georgia.gov/plb/cosmetology). After obtaining a passing score on both the written and practical examination, a candidate must submit an application for licensure to the Georgia State Board of Cosmetology with the appropriate fee. Passing the written and practical exam does not guarantee licensure. All criminal convictions and any board sanctions must be reviewed by the Board as a consideration for licensure. The objective of the Cosmetology program is to lead our students through a sequence of courses that prepares students for careers in the field of cosmetology. Learning opportunities develop academic and professional knowledge and skills required for job acquisition, retention, and advancement. The Cosmetology program emphasizes specialized training in safety, sanitation, state laws, rules and regulations, chemistry, anatomy and physiology, skin, hair, nail diseases and disorders, hair treatments and manipulations, hair shaping, hair styling, hair lightening, reception, sales, management, math, reading, writing, interpersonal relations development, computer skills, employability skills, and work ethics. The purpose of the Cosmetology program is to provide educational opportunities that enable Cosmetology students to obtain the skills and knowledge necessary to meet the Georgia State Board of Cosmetology statutes and deliver quality services.